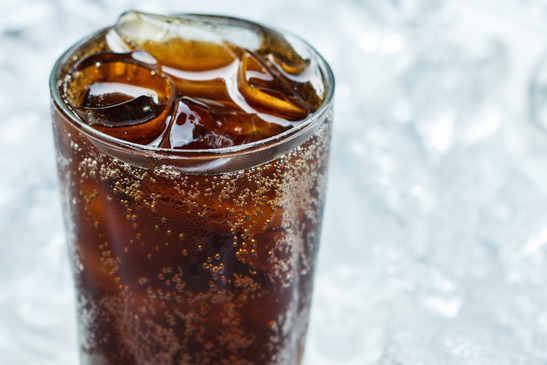 In the last few years a debate has been raging in New York courts over soft drink sizes. Urged by health advocates and championed by former mayor Michael Bloomberg, the New York City Board of Health proposed a bill in 2012 that would limit sales of sugary drinks to 16 ounces in New York City movie theatres, restaurants and street vendors. Even the new mayor, Bill de Blasio, who rarely agreed with Bloomberg, was a proponent of the change. This summer, the bill was struck down as courts considered a ban on such things an overreach of authority on the part of the health board. The original purpose of the jumbo soft drink ban was to limit “empty” calories consumed and fight against obesity, especially childhood obesity, which have grown to epidemic levels in our country. Major soft drink brands were on the other side of the fight, paying big money to combat against the proposed regulation. In a 2012 interview with USA Today, Katie Bayne, president and general manager of sparkling beverages for Coca-Cola in North America, suggests that daily consumption of sugary beverages is no big deal; “a calorie is a calorie.” Ms. Bayne also suggests that there is no proven connection of any kind between sugary beverages and obesity. She also goes on to describe a typical day of beverage consumption in her own life: a mini Diet Coke, a Powerade Zero, two regular Diet Cokes, a Gold Peak Tea, and an 8-ounce Coke. Because only one of these beverages contains calories, and because it’s only an 8 ounce portion, Ms. Baynes feels like her diet is perfectly healthy with her six beverages adding up to only 93 calories. That’s a lot of acid per day! It wouldn’t be a big deal if she did this just once in a while, because our bodies are great at buffering acidic attacks, but repeated frequently over a significant time period, this lifestyle choice can be both expensive and painful. In our Orem dental office, we frequently see the effects of beverage abuse. In fact, for those who have extensive cavity cases, they almost always involve a lot of soda pop or energy drinks. It is my professional opinion that one of the easiest and most effective ways of preventing cavities in our families is by limiting soft drink (and other acidic drink) consumption. Admit it, you Utah Diet Coke drinkers, this is a problem! We constantly educate patients about proper brushing and flossing, but this issue is probably just as important. Check out the list below and see if anything you frequently drink is putting you at risk for cavities. For more information or help in preventing cavities in your family, make an appointment today. We’d love to help you achieve and maintain beautiful, healthy smile.